suNny (Rifler) smooya (AWPer) Dennis (IGL) bondik (Rifler) DeadFox (Support) What would be your? 1. bondik > Dennis so i would remove dennis and add MAJ3R thats good point 2. ofc. STYKO is much better than DeadFox but i dont know if he would join this. Decent lineup, tbh I would like to see G2 ScreaM but yeah, probably won't happen. +111 Yessss, I honestly would love to see this lineup, shox could teach amanek a thing or two about lurking and develop him,and I feel like replacing Lucky with Scream would be a great idea, but then again, Idk if Scream is still holding a grudge against G2, from what I remember, he doesn't like them (I forgot why but it was a long time ago) I just hope something happens and I see ScreaM in G2..
How do you know? he might join them, who knows after all. I know, but who would you pick as support? As i said in #43 he would be much better, but i dont think he would join it. draken have signed 1year contract with NiP, so dennis probably out. With suNny kinda true tbh. How so? You said it never happened... just letting you know, it has. And it probably will again with all the Larger Orgs trying to make super teams of international talent. Naive to think otherwise... kid. first of all,I didnt say it never happened, I still remember watching old games in hltv. noa was never the best team,they were good for the short period of time. #6 YOUR words. I didn't say they were the best just that a mixed team won 2 majors. Never said they were a dynasty team. Just said a mixed international team won majors... reading comprehension lads. TSM wrath will be swift. All these peasants thinking we aren’t good. LMFAO. Bondik is pretty good, Deadfox is horrible. My guess is that the lineup will be: Ex6tenz ScreaM Smooya bodyy HS That is a decent start for a tier 2 team. Ex6tenz might not have the firepower but he is probably the best French IGL out there, he is also one of the few IGL's who actually wanna change the meta. ScreaM is still juan tap good, but have bad positioning. Perhaps he can find a consistant form and become a better CT player with a good coach and under Ex6tenz tutolage. HS is like ScreaM but less colorful, both in good and bad. Smooya is a great agressive AWP:er and will fit in fine with the strong personalities and can probably improve under Ex6tenz leadership. 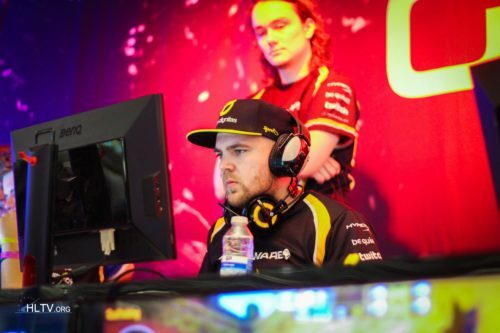 bodyy had his best performances over the last couple of years last time he played with Ex6tenz, and have only been underperforming under Shox because he didn't get a proper role in that squad. Now he will be main entry and might get low KD but will do great impact and get quite high ADR. Not really... the players already left there homes (instagram story). They will probably have a bootcamp or something. -deadfox, 4 man team. coach always stands in and they never find a 4th. when major comes around and they play for it, coach becomes 5th. Oh, I thought I read he was leaving but maybe that was just a rumour. It's hard to keep up with all the moves on this silly season, lol. dennis IGL r u kidding me dude? Do all of theseknow good enough english for clear enough comms? I dont know about smooya but it should be fine by everyone else.